Obituary for Jean M. Prazenica | Fox Funeral Home, Inc.
Jean M. Prazenica, 91, of Cabot, passed away peacefully on January 17, 2019 at Concordia Lutheran Ministries. Born December 21, 1927 in Natrona, PA, she was the daughter of Leon Nowicki and Lillian Mrozinski Nowicki. Jean grew up on a dairy farm and graduated from Butler High School in 1945. Upon graduation, she worked at Bell Telephone as switchboard operator until she met her husband, Andrew "Jeep" Prazenica and they moved to Fawn Township, where they started a family. 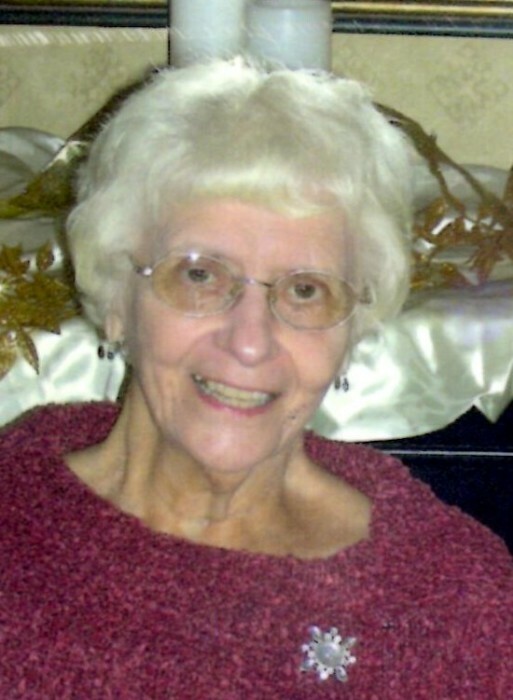 Jean was the loving mother of five children: Leon (Debbie) Prazenica of Frederick, MD, Joan (Joseph, Jr.) Kelly of Palmetto, FL, Carolyn (Edward) Sauer of Allison Park, Marilyn Prazenica of Saxonburg and Patrick (Sharon) Prazenica of Cranberry Twp. Jean was a devout Catholic and her and her family attended Blessed Sacrament Church in Natrona Heights. All of her children also went to Blessed Sacrament Elementary School from kindergarten through eighth grade. She especially enjoyed her 14 grandchildren, Michael, Alison, Lily, Nicholas, Carl, Joseph III, Thomas, Emily, Edward III, Jaclyn, Haley, Hillary, Ryan and Evan. Jean was also blessed to have eight great-grandchildren, Blake, Bay Louise, Remi, Joseph IV, Jonah, Levi, Aimee and the most recent addition was born just days ago and named in her honor- Lilah Jean. She became a member of St. Joseph Catholic Church in Cabot, when she and her husband moved to Concordia. She enjoyed baking, cheering for Pittsburgh sports teams and babysitting her grandchildren. She was preceded in death by her husband of 57 years Andrew Prazenica and her siblings, Rita Gorsha and Leon Nowicki. Jean has one surviving brother, Daniel (Susan) Nowicki, who still lives on the family farm in Cabot. Friends will be received on Sunday, January 20, 2019, from 2:00 pm - 6:00 pm at Fox Funeral Home, Inc., Saxonburg, PA.
Services will be held on Monday, January 21, 2019, 10:00 am at the St. Joseph R.C. Church , with Fr. Ward Stakem officiating. Interment will follow in Our Lady of Hope Cemetery.